Nationally known performer, composer, and educator, Tommy Goddard has been working in the music industry since 2002. As winner of many drumset, marimba, and marching percussion awards, Goddard has worked in schools, football stadiums, and music venues all across North America. He made his Kennedy Center debut as a snare drummer in the Crossmen Drum Corps in Washington, D.C. in 2008. In 2011, he performed at the Murat Theatre in Indianapolis, IN as champion of the Drumline Live! national solo competition. Goddard has worked with recording artists Neil Patrick Harris, Shania Twain, Lincoln Brewster, Arturo Sandoval, John Clayton, Steve Houghton, Rick Baptist, Sal Lozano, Jonelle Allen, Meloney Collins, Jay Leach, Jennifer Barnes, Robbie Seay, Evans Blue, Kutless, Air Force Band of the Golden West, and many others. 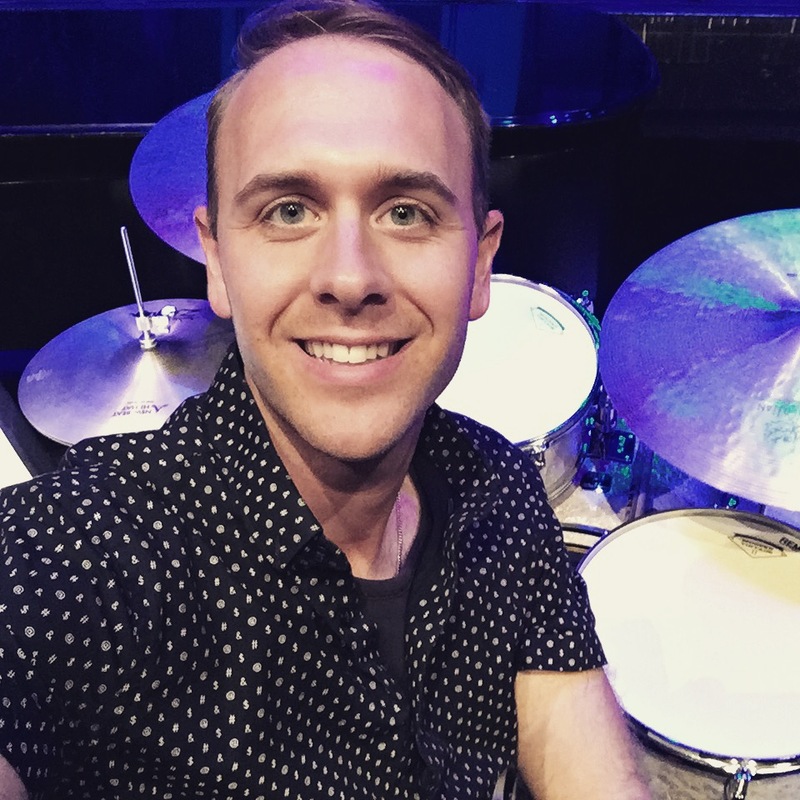 Tommy loves making music for audiences of all ages, as he is currently a full-time percussionist in the Disneyland Band, drummer in the Five and Dime jazz sextet at Disney’s California Adventure and drummer in Mickey’s Soundsational Parade at Disneyland. He is also a freelance drummer and percussionist in the greater Los Angeles metro, Adjunct Professor of Music at California Baptist University (Riverside, CA), Director of Percussion at John F. Kennedy High School (La Palma, CA), and owner of Goddard Music Studios, located in Orange County, CA. According to a former student, “[Prof. Goddard] is multi-talented, constantly gigs, works as a drummer, band director, and as a composer. I definitely want a teacher who is actively working as a musician so he can’t be complacent about his own practice and improvement.” Goddard’s student accomplishments include: Anaheim UHSD Honor Band, Bluecoats Drum Corps, Blue Devils Drum Corps, Disneyland, Disney’s California Adventure, Impulse Percussion, Irvine Symphony Honor Band, Gold Drum and Bugle Corps, Oklahoma All-Region Honor Band, Oklahoma All-State Honor Band, Oklahoma State University, Pulse Percussion, Resistance Indoor Percussion, Rose Bowl Honor Band, Southern California All-Region Honor Band, The Academy Drum Corps, University of North Texas, University of Oklahoma. As a composer, Goddard co-wrote an atmosphere show for Shanghai Disney Resort, worked on many Disneyland Resort commissioned projects, has numerous marching and concert percussion compositions, and has released songs for films. Tommy Goddard earned a BS double major in Music Business and Music Performance from Southern Nazarene University, 2010, and a MM in Music Performance from the University of Central Oklahoma, 2011. Because of his desire to gain more knowledge in the recording arts, Goddard received his Avid Pro Tools Certification from The Recording Arts Center at Studio West, 2015.